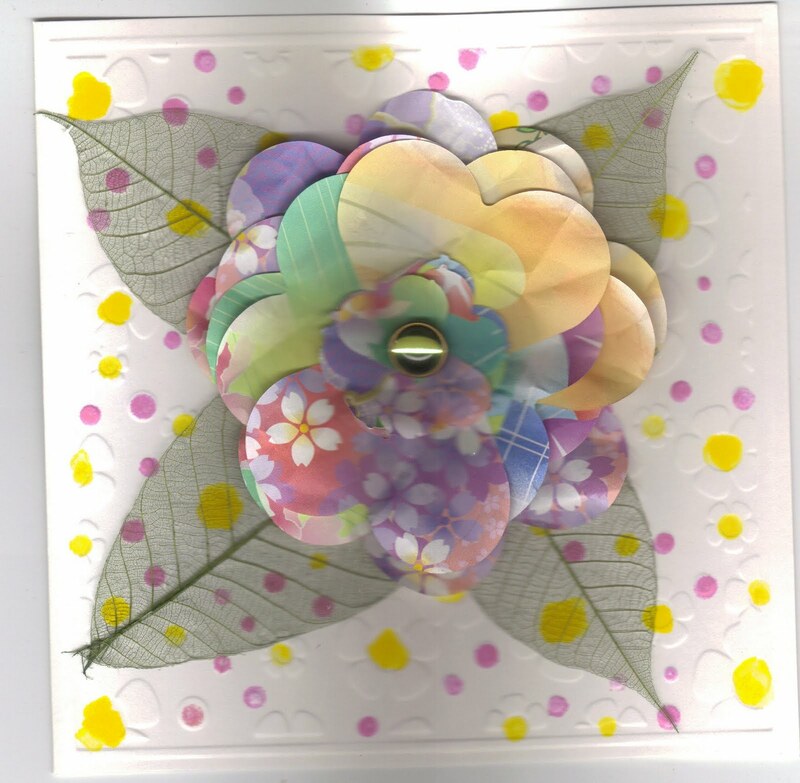 Good afternoon, on a rainy dull Saturday, so an excellent day to create, this colorful flower card certainly cheers up an otherwise boring day. What do you think? Thanks for visiting , please leave a comment and come back often. Did you use origami paper with this? Beautiful effect love how the card turned out! 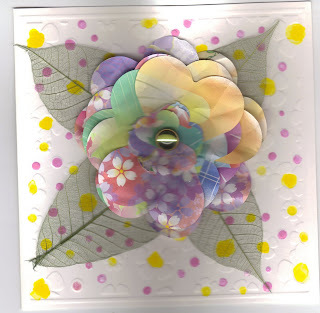 Pretty card Judie. Very colorful flower and like the leaves also.